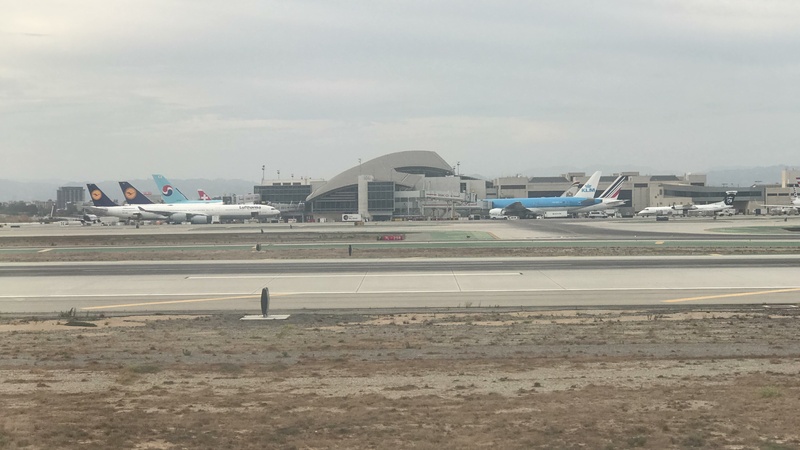 I was supposed to do a full review of Tom Bradley International Terminal for you guys which I was really looking forward to given how it’s my favorite terminal in the whole world. 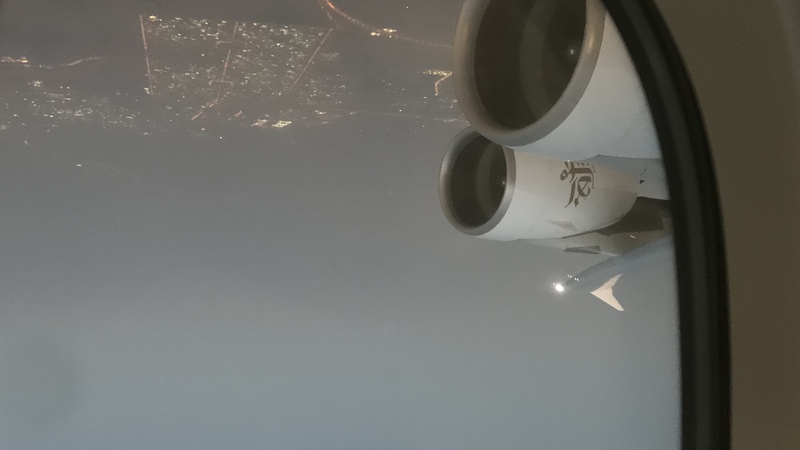 However, due to some unexpected commitments back at home, I could not reach the airport until very late and only had time for a few plane shots, then right to the gate. So I do apologize and hopefully, that will not be an issue next year. Now to flight itself. This aircraft, A6-EOM, was in a special “United for Wildlife” livery so some sideshows would have been great! 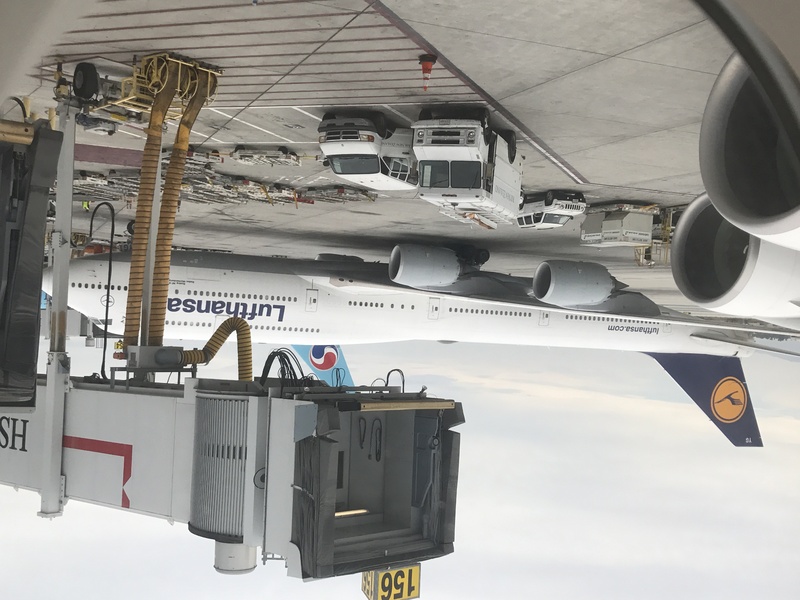 But this aircraft was at gate 156 which is the one unlucky gate where it is impossible to get any side shots of the aircraft. 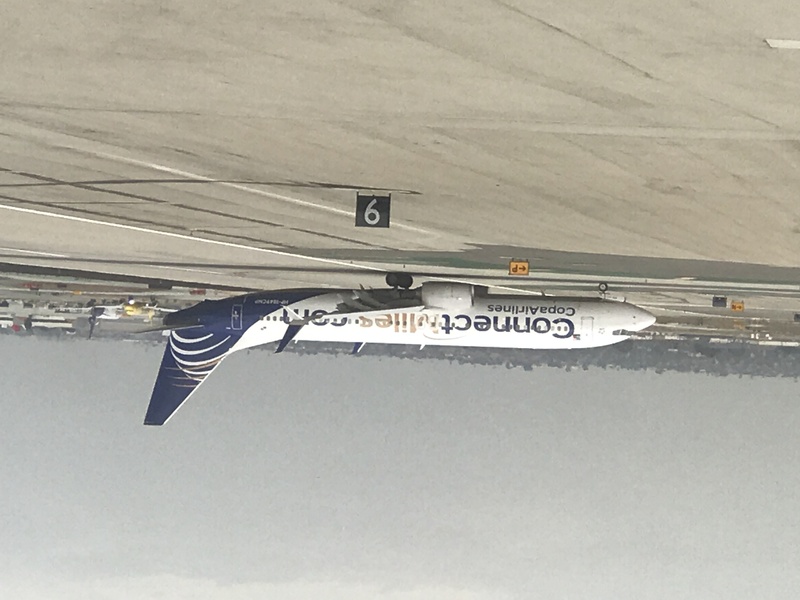 So all you can see here is the generic “white front” of the plane. 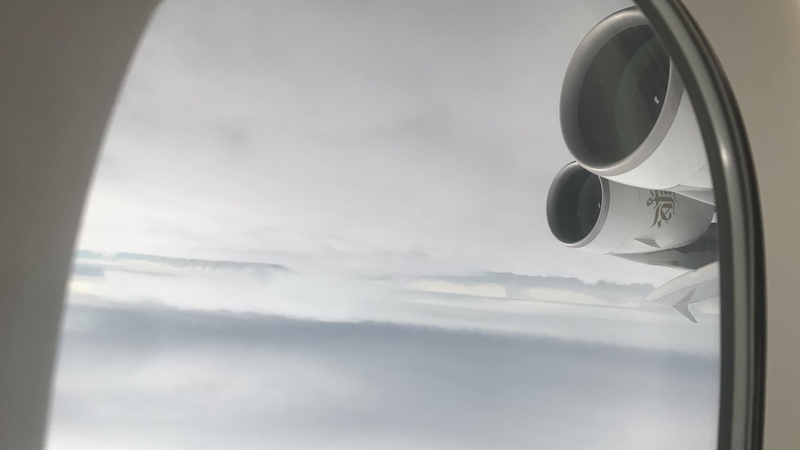 While it’s not the whole plane, it’s better than nothing. The seat cushion was decently padded, but still slightly hard. 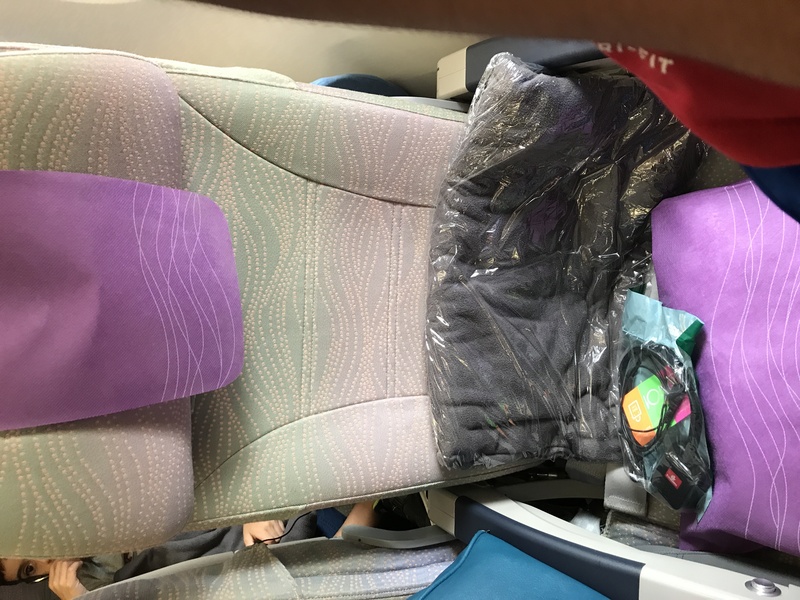 The back padding was pretty thin, but thankfully the head rest protruded out so much that you don’t apply the full pressure of your back to the back of the seat. 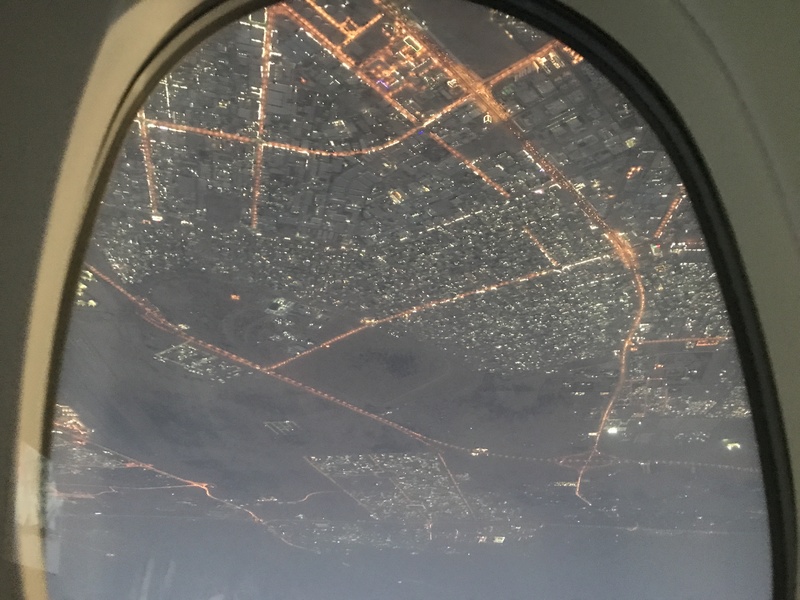 This seat was still overall comfortable for the most part for this 16 hour flight which I think is longer than routes that most people will fly in this aircraft (unless you fly from Dubai to Auckland). 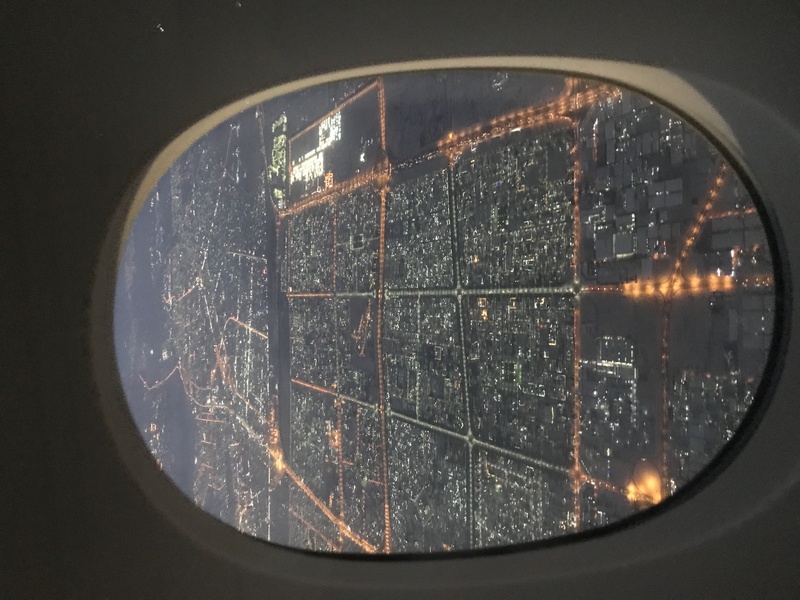 But I will note that I had to get up a few times to stretch my back out which is something I did not need to get up for on my Etihad flight. But I of course still got up to go for walks on both flights. 16 hours with no movement is not good especially when you eat a lot, as was the case on this flight, but more on that later. Ok so ignoring the head in the way, the front was pretty well stocked. 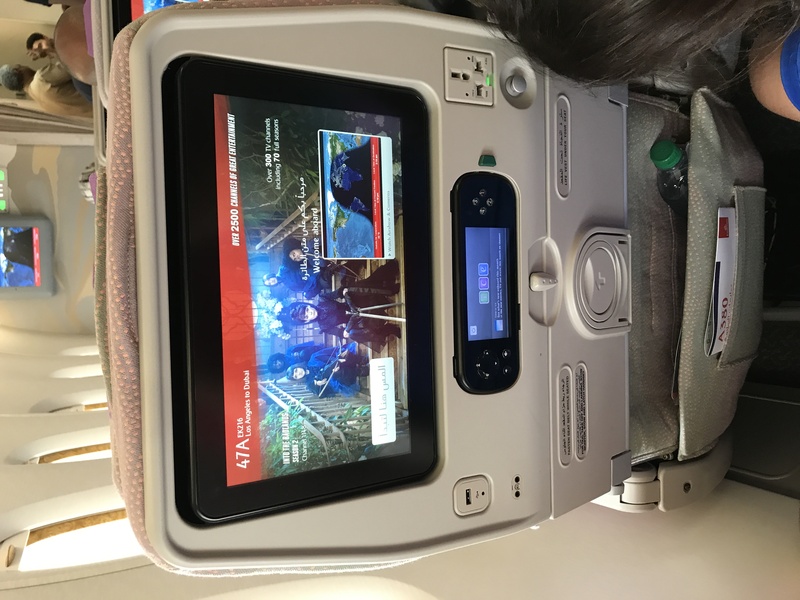 You have a USB port and a plug port where a lot of airlines have either/ or. The screen was very high quality and was pretty responsive to the touch. I never actually used the remote so I can’t say much about that. But unless you are playing games, you don’t really need the remote. 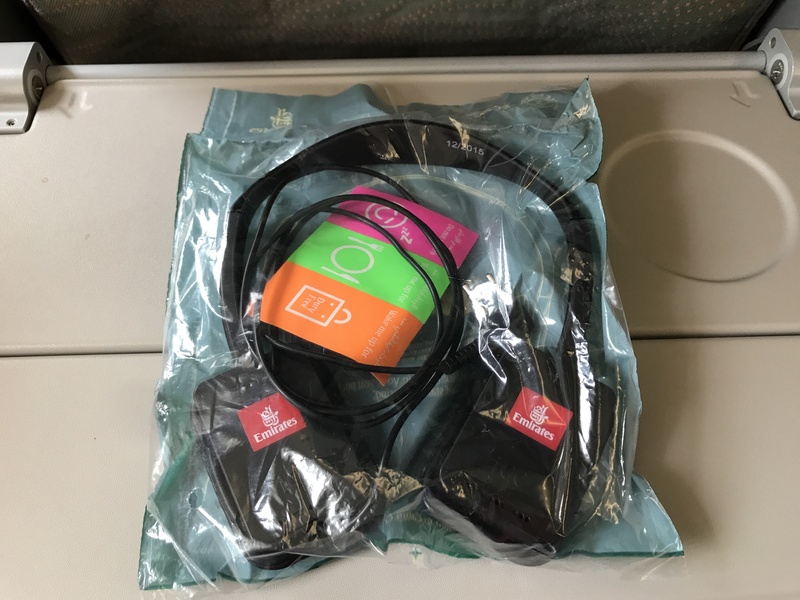 Also below the USB port, if you notice there is the headphone plug for the 2-prong headphones provided by Emirates. But I used my own headphones and they worked just fine. I didn’t actually watch any movies or shows, but I just wanted to test to see if using your own headphones worked. I suppose you could plug your own headphones into either gap, but mine went into the left side one. There were the standard foldable tray table and a cup rest that can be extended for use. The legroom was pretty good too. 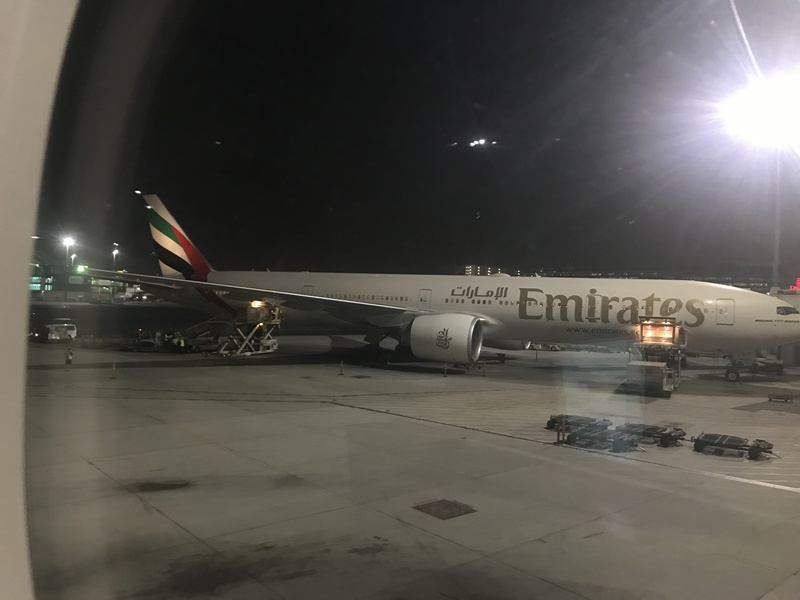 After boarding was complete, we began pushback. 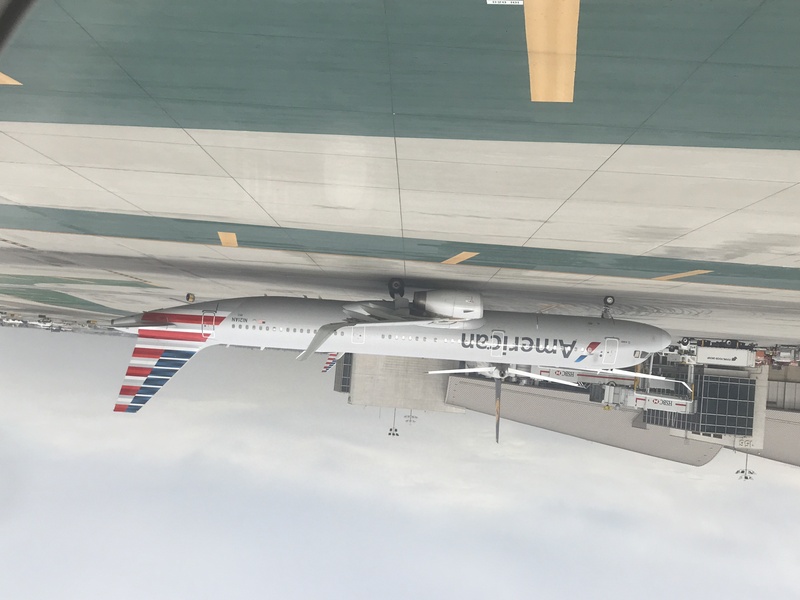 There was some interesting traffic, as is always the case at LAX, as we began our long taxi to runway 25L. And of course a lovely last look back at Tom Bradley International Terminal. I look forward to reviewing every airline in the photo above. Besides Etihad, every airline in that photo is a partner of United or Alaska Airlines, my two loyalty programs. After a long taxi, we turned onto runway 25L and had a long roll. We must’ve had a near max load because the flightdeck applied power at near full, which I could tell by the sounds. We had a smooth climb through the first couple thousand feet. 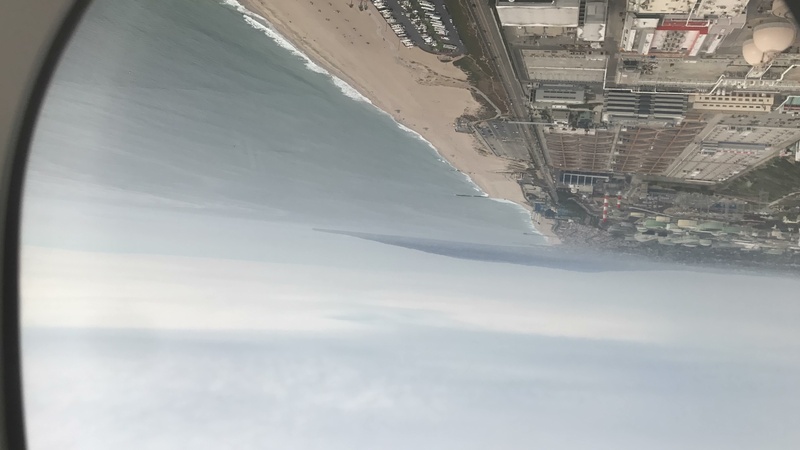 As always when departing from LAX, the views were lovely, even on a gloomy day like this one. 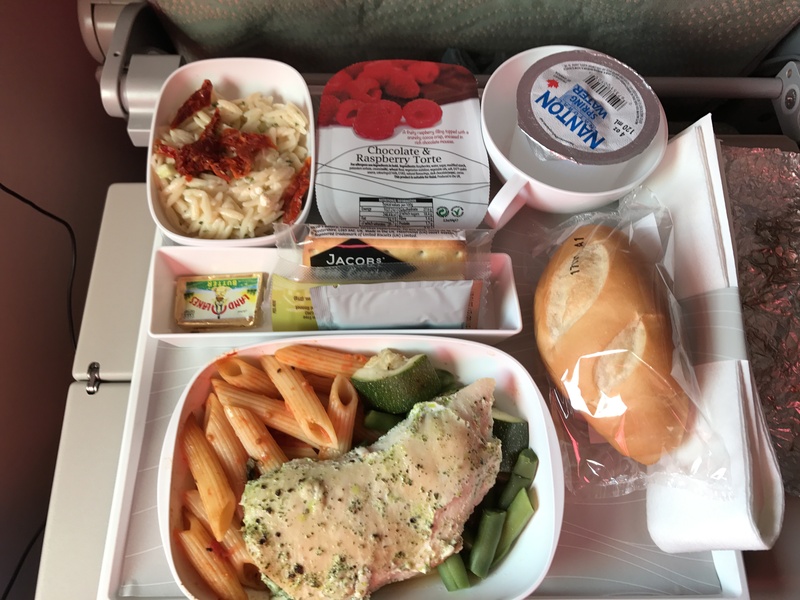 After crossing about 15,000 feet, the crew came around with amenity kits and menus. The contents are a toothbrush and toothpaste, eye shades, socks, ear plugs, and an info card. 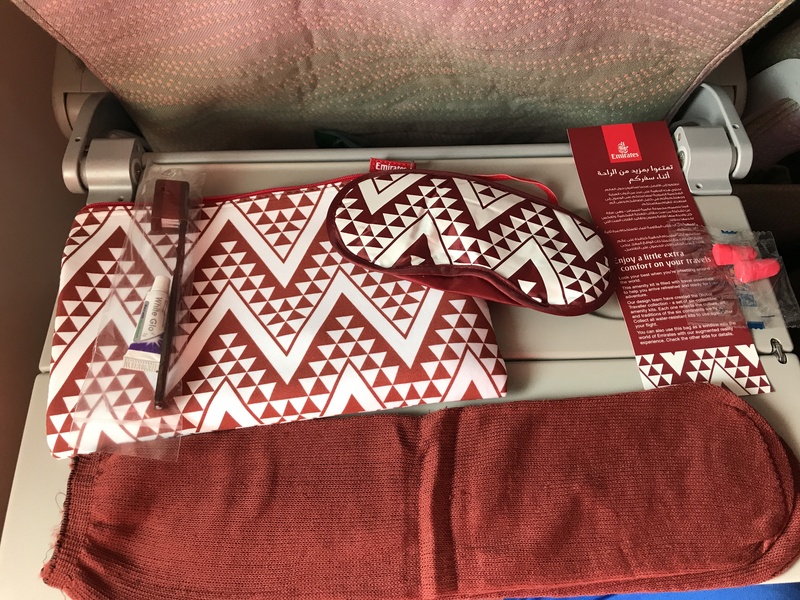 This is just as good as amenity kits will get in economy class, so well done by Emirates here. 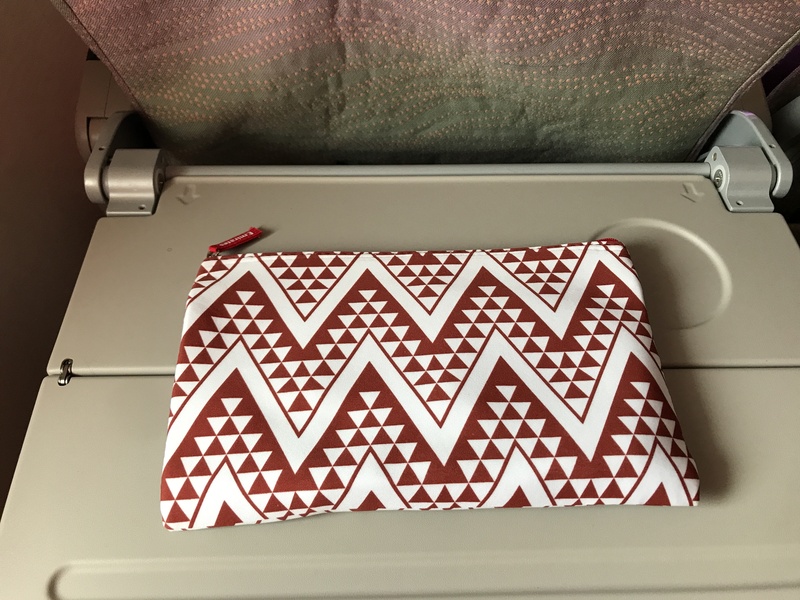 Singapore airline’s Givenchy Amenity Kits in economy have just about the same stuff, but we’ll leave that conversation for another time. 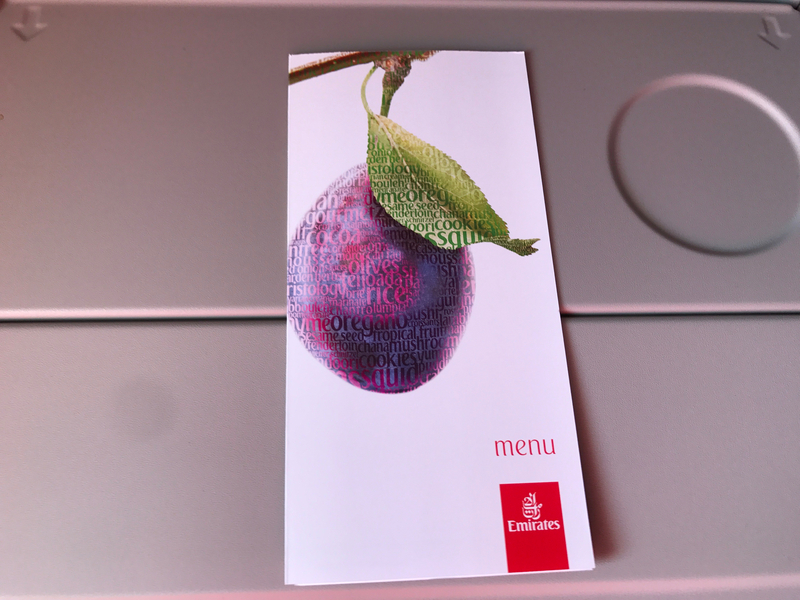 Next, the crew came around with the menus for this flight. 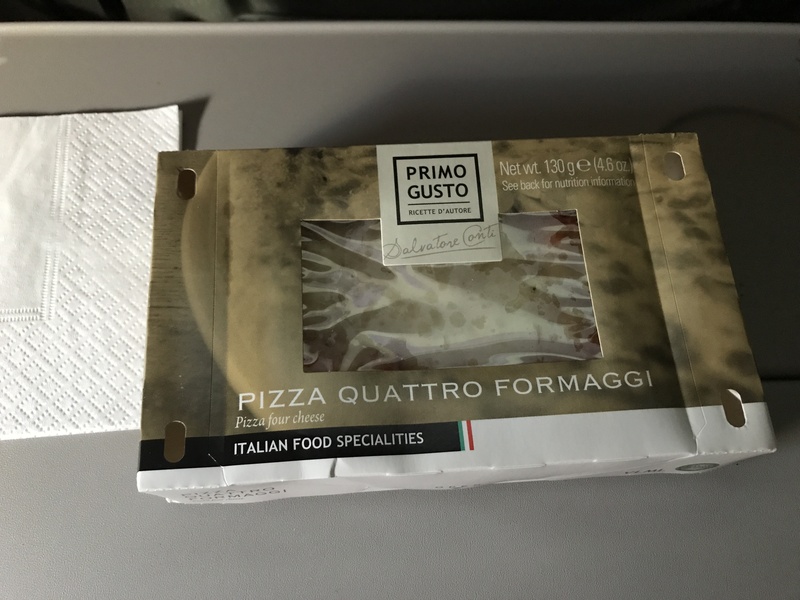 While most airlines don’t give menus in economy, I always appreciate when airlines do give it as it shows that they actually care about their economy class product. 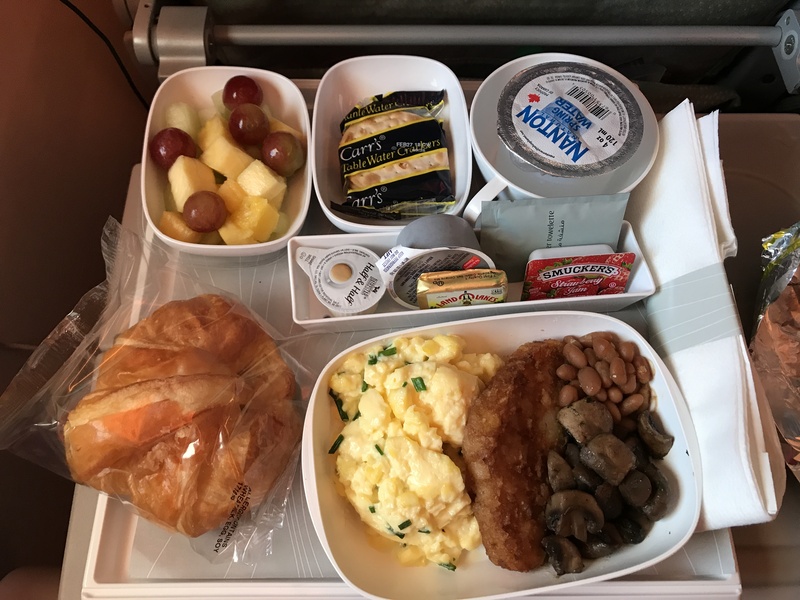 Most other airlines put all the grind and effort into their premium cabin product. The views continued for a while more. 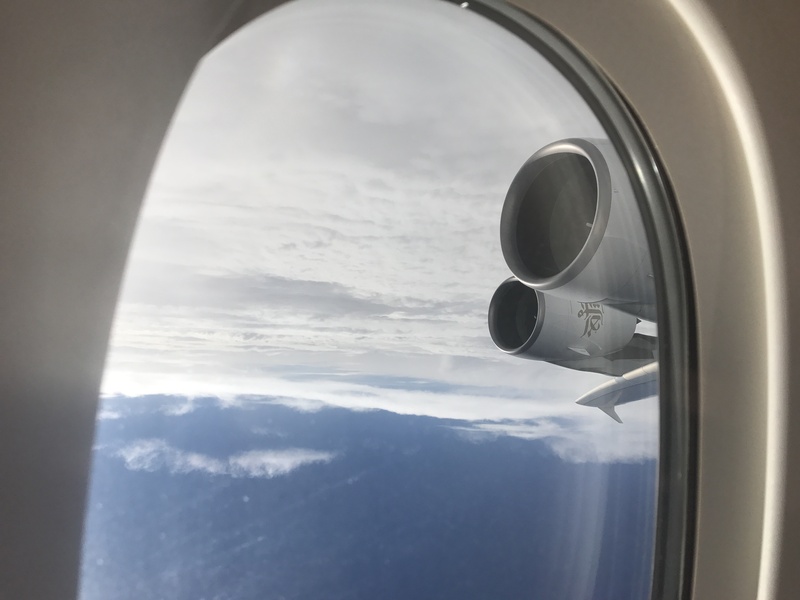 But then we hit some clouds….at 32,000 feet. But eventually it was food time. I was a little surprised there was no snack service first. 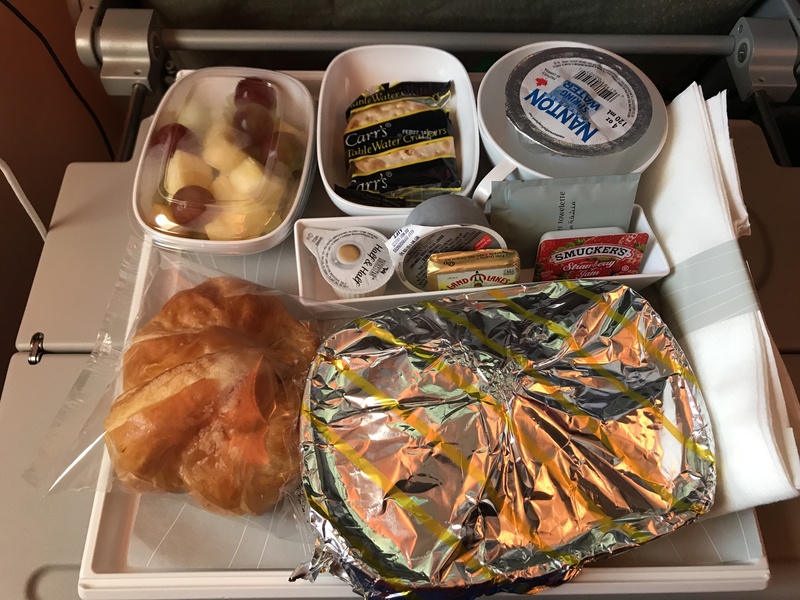 Etihad always has a snack and beverage service before their meal, but that wasn’t the case on Emirates. 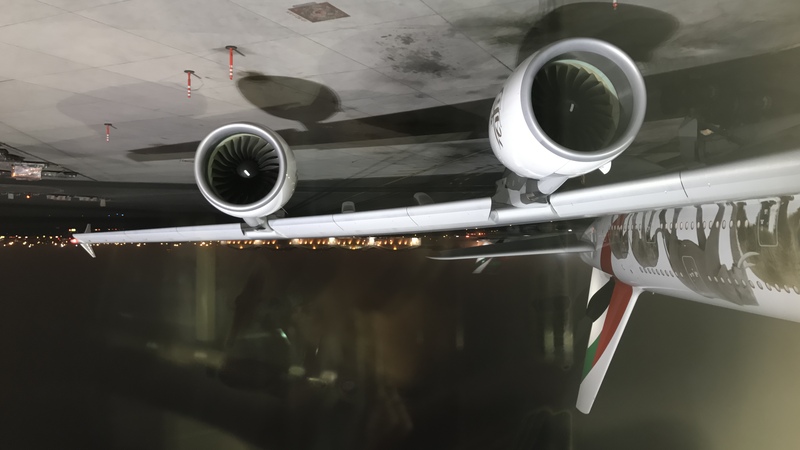 Oh well, ultimately it was not a big deal, because there were so many other things done right by Emirates. I chose the chicken option. The salad on the top left was good. The rice was chilled and had a nice tangy taste to it. As many of you know, I hate tomatoes, so I did not eat the sun dried tomatoes, but of course I won’t hold that against EK. The main course was filling. The chicken was well cooked and seasoned decently, which added a nice taste to it. It was still lacking some taste but I’ll attribute that to the effects of altitude. The pasta was bland and that was even with the tomato sauce added. The steamed green beans and zucchinis were very good for steamed vegetables on board. Next was the dessert. This was a very, very good dessert. 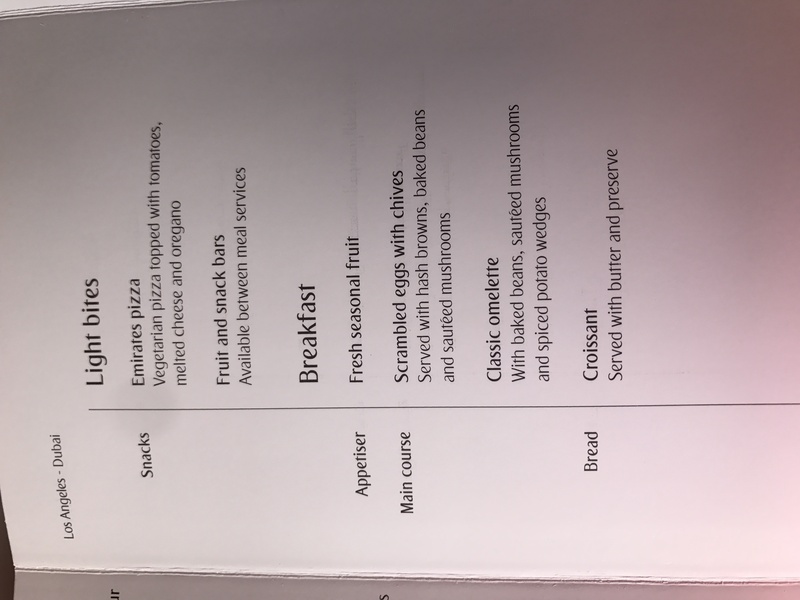 Up to this point, in economy class, the best dessert I’ve had was a raspberry cheesecake on my Etihad flight from Abu Dhabi to Los Angeles. This was very very good, but that cheesecake is still the winner. I would say this dessert is #2. 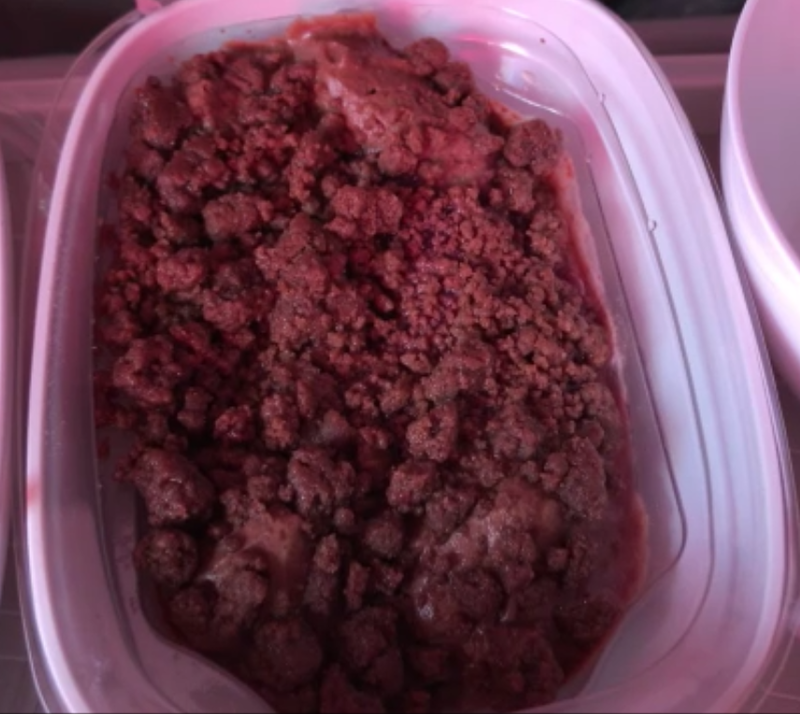 Here is a screenshot I took from my youtube video since I forgot to unwrap it for the photo. The texture was like that of a mousse with the chocolate crumb chunks, and the taste was very rich. 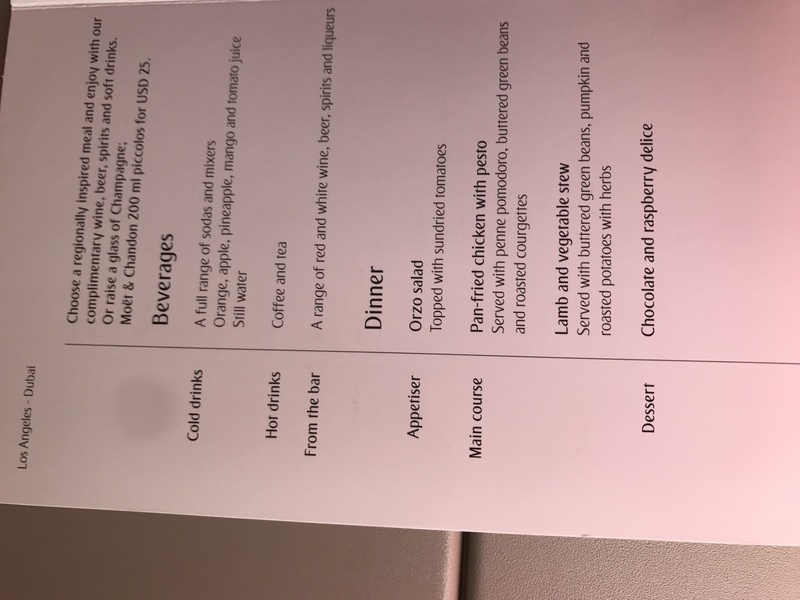 Overall, this dessert was just as good as a chocolate cheesecake I had on an Emirates business class flight a few years ago. There was also cheese and crackers and bread, all of which I always enjoy. Overall, this meal was great. 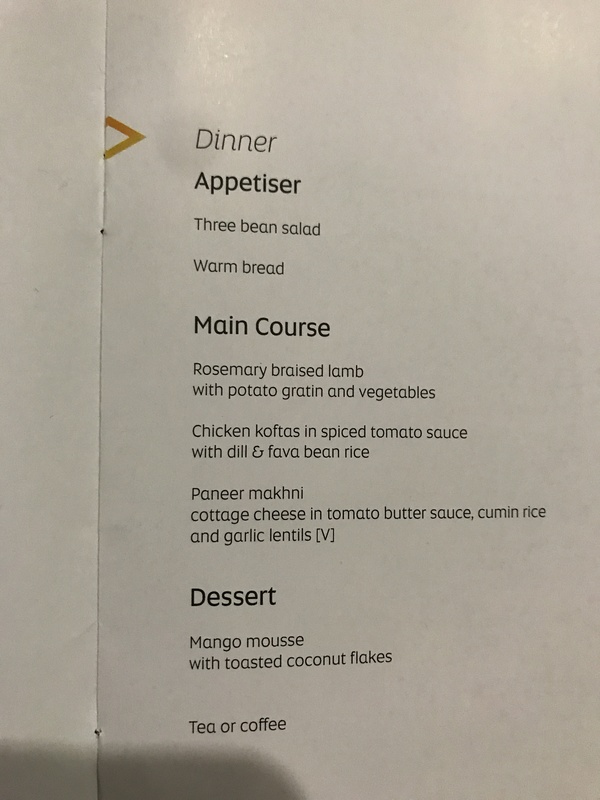 The appetizer was great, the main course was almost perfect to my standards for an economy class meal, and the dessert was above and beyond. We were passing through the border of Washington and Oregon at this time. 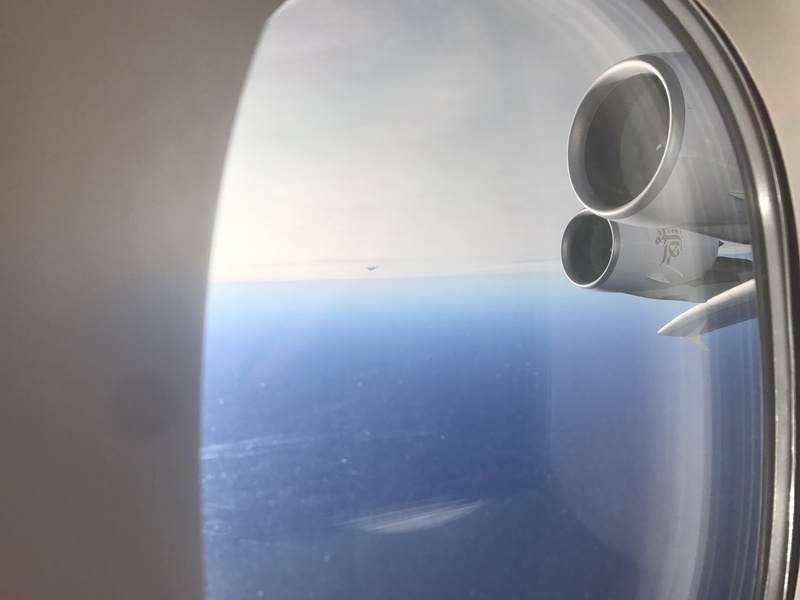 It is hard to see, but if you look at the outer engine and start looking right of that, you will see a small bump popping above the clouds. That is Mt. Hood in Oregon. At this point, I got up to go to the lavatory. 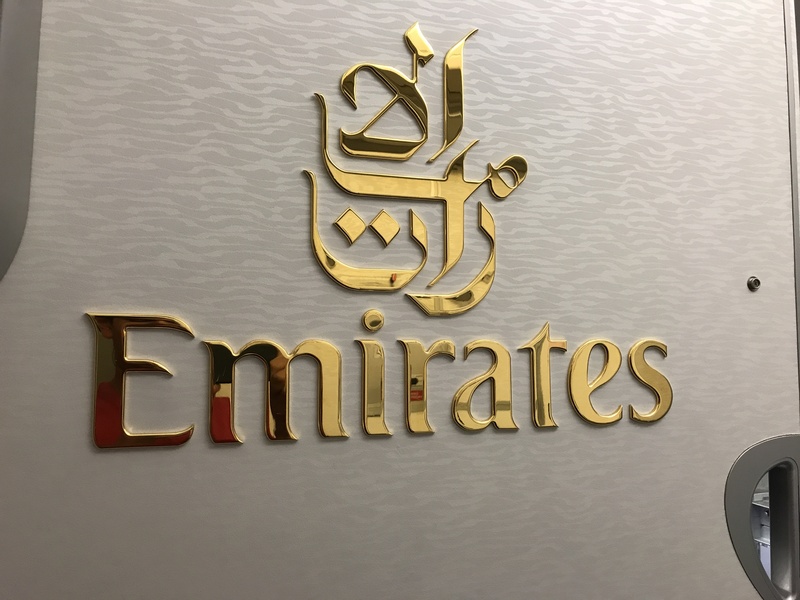 On Emirates, you will fine faux gold everywhere in their plane and in an excessive amount in First and Business class. But they even have the same color schemes here in their economy class lavatories. 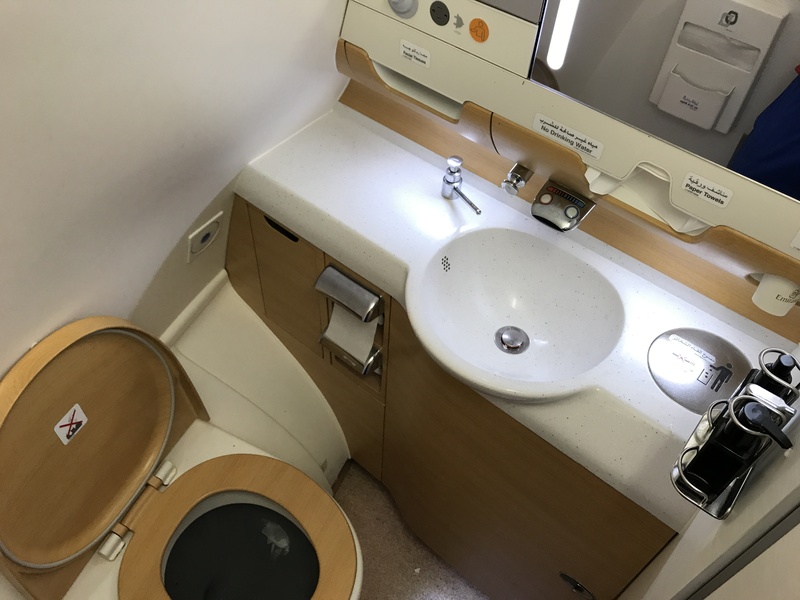 The lavatory was pretty standard, though do note there is a plug just to the left of the mirror so if you want to straighten your hair, or shave, or even use an electronic device if you plan to be there for a long time. 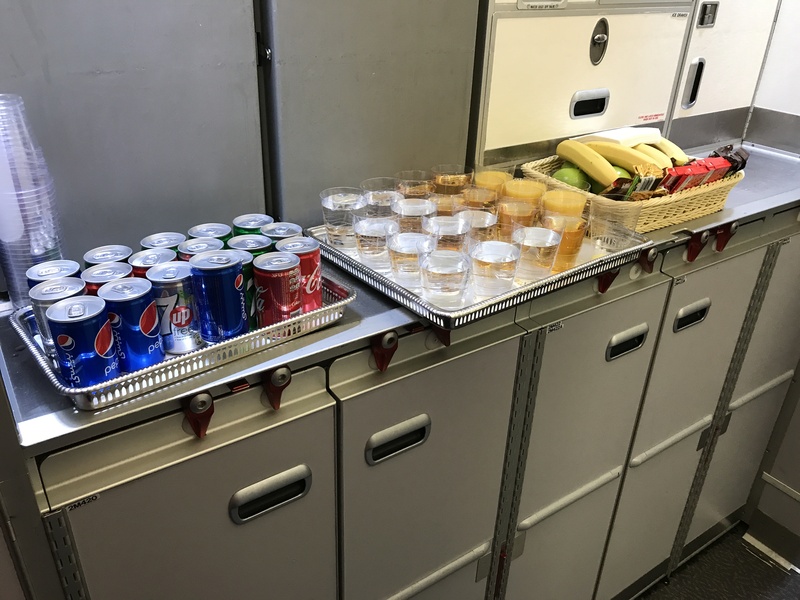 Emirates had a nice set up in the galley for passengers mid flight. There was a range of soft drinks, juices, water, and healthy & unhealthy snacks available. At this point, I turned on the airshow and was deeply saddened. 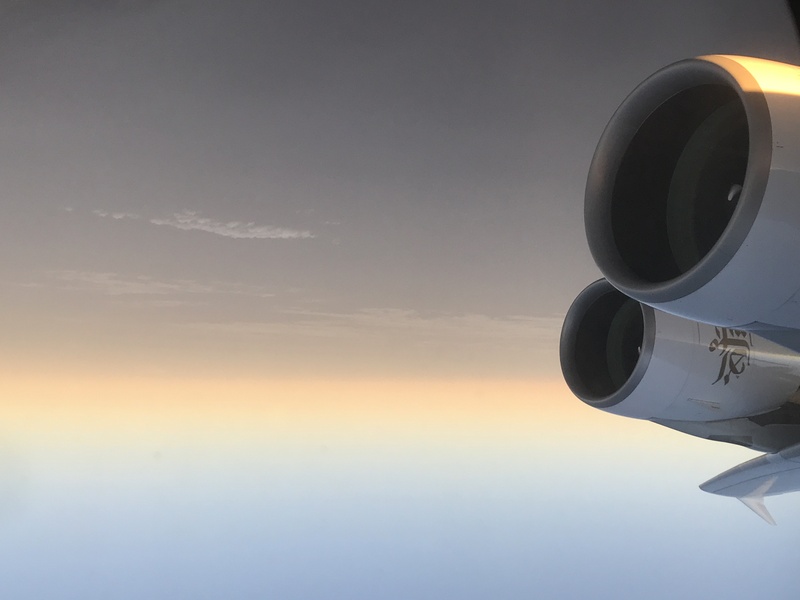 My whole point in choosing the left side of the aircraft was to see the lovely sunset views on this flight. 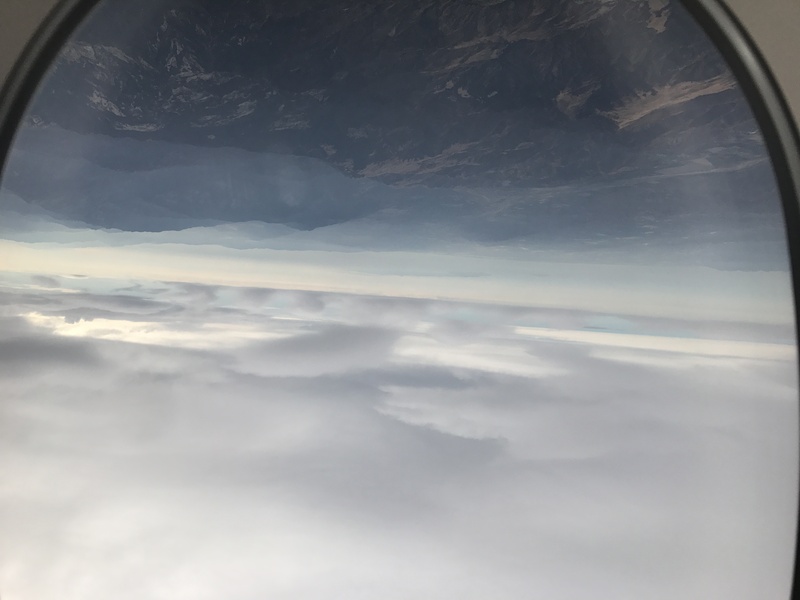 But we took such a northern heading flying out of LA that we evaded the sunset and the sun reached a decently low point in the sky, but not enough to give good photos. This is the lowest the sun got during the initial part of the journey. 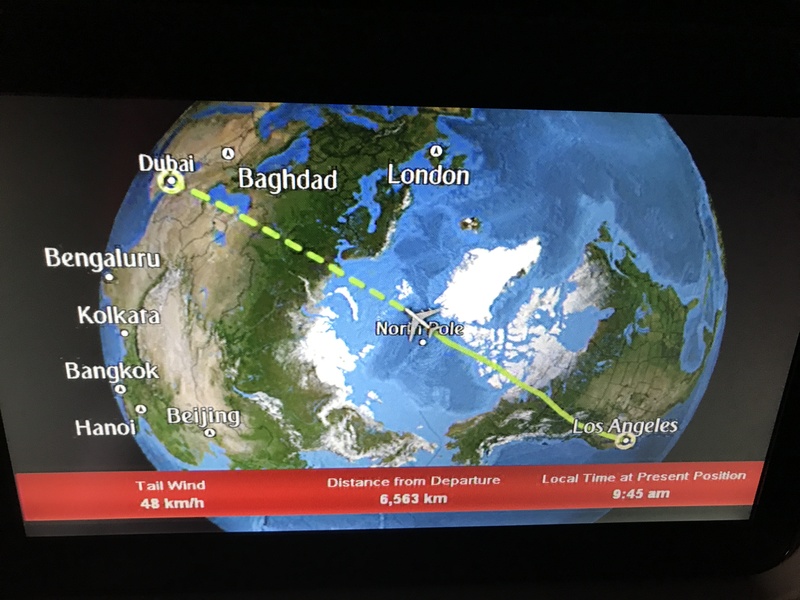 Yep, we flew right by the north pole. I’m sorry I forgot to take pictures of Santa’s workshop 😉. 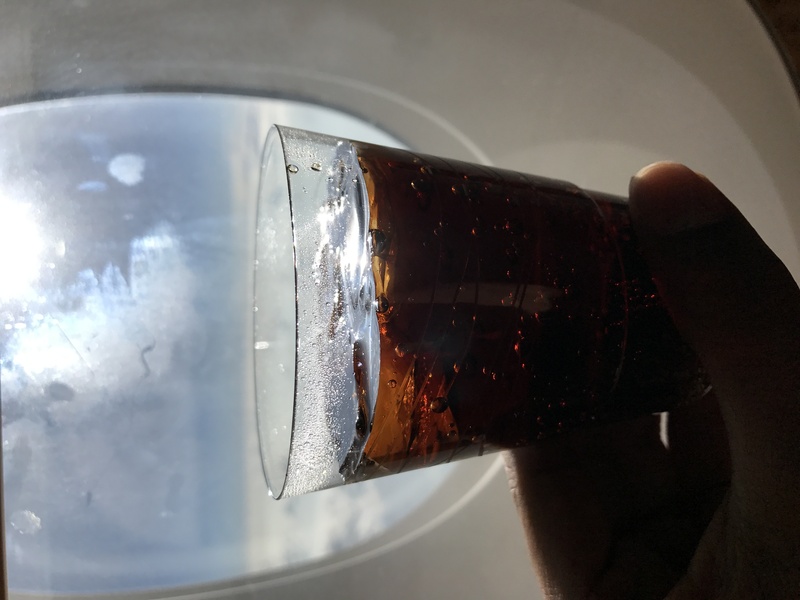 At this point, there was a mid flight snack service. 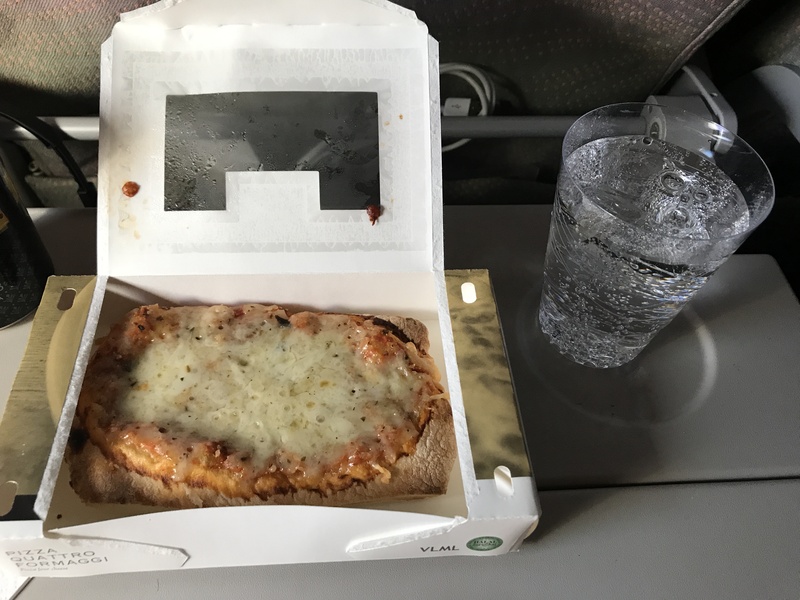 It was the “Emirates pizza” and for my beverage to go with it, I chose sparkling water, of course. The pizza was pretty tasty, but the crust was a little hard. That’s pretty much all that needs to be said. At this point, I went on another quick walk while drinking more sparkling water to digest my pizza. 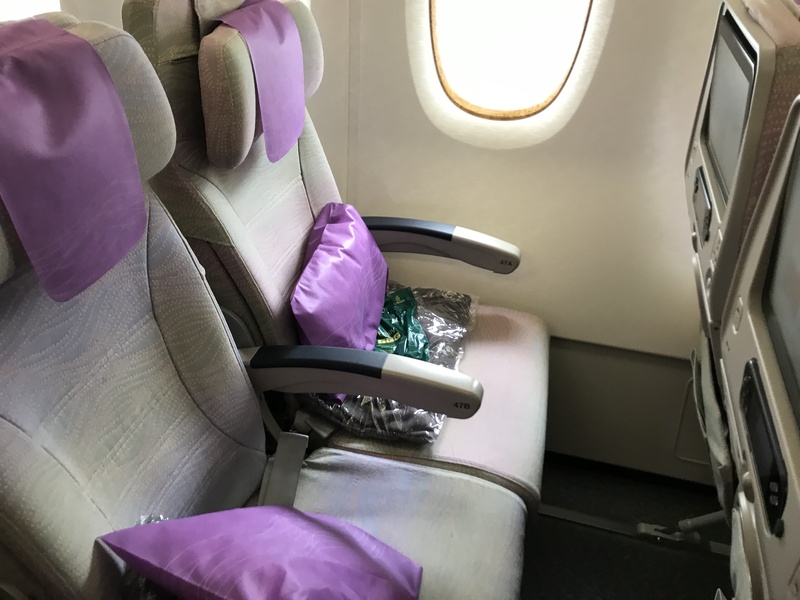 Then when I returned to my seat, I slept for a good 3.5 hours. 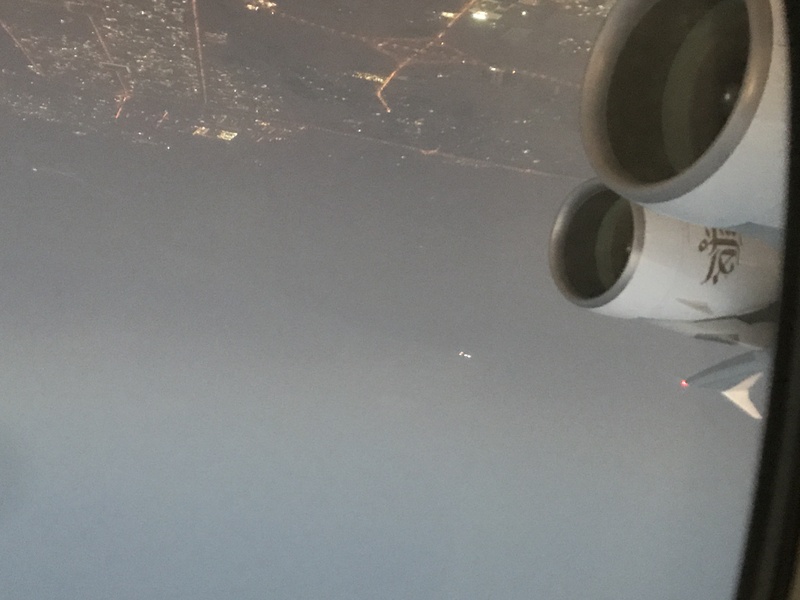 When I woke up, we were flying through the “stan” contries towards the Arabic Peninsulas. It was time for our second meal at last. Breakfast at 5 PM. Nothing out of the ordinary. The fruits were actually very fresh and tasted normal too. The eggs had little taste by itself but that’s not abnormal for eggs even on the ground. They were cooked well though, so the eggs were good for what they were. The baked beans tasted great but were fairly dry. The sauteed mushrooms were excellent. The hashbrown was nice and crispy on the outside, but tasty and soft on the inside. I did not eat the croissant so I can’t say much about that. Soon the sun started to disappear from our side. 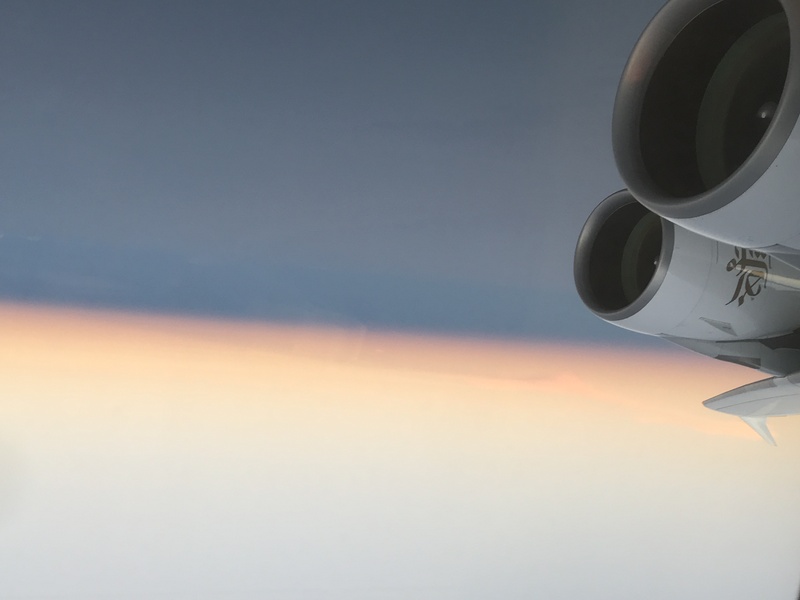 As we began our descent, the sunset rate accelerated which is normal. We hit the Gulf coast and the the city lights were the rest of the views from there. 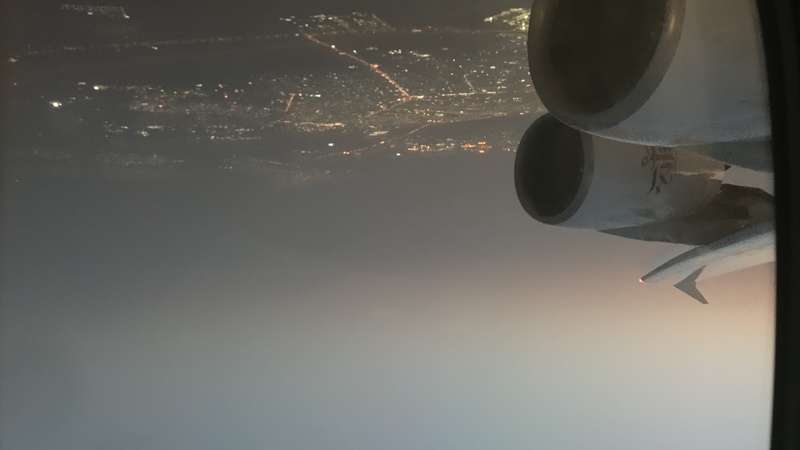 The hot Arabic desert definitely added some turbulence to our descent, but that’t nothing that I didn’t expect. Hah! 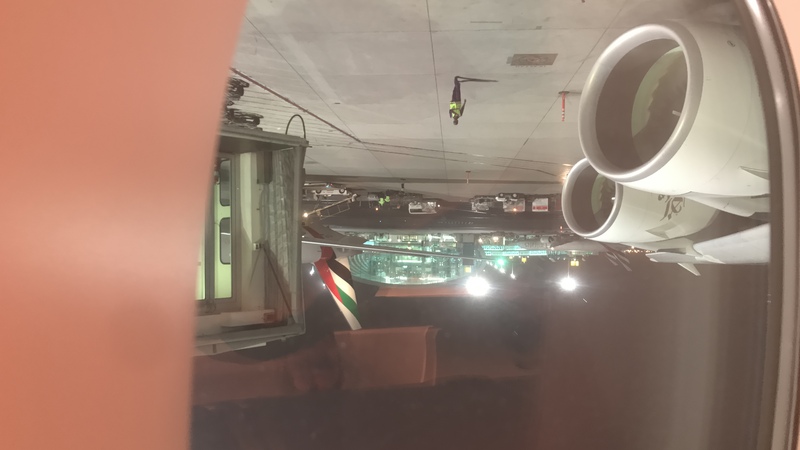 I caught a photo of the wing in the middle of one of its strobe light cycles. 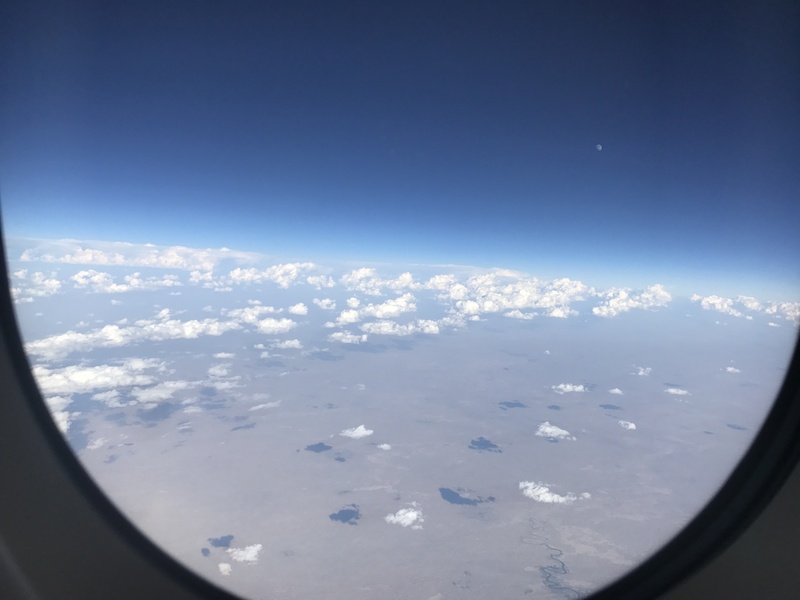 Here is another photo I took outlining the window as we approached. 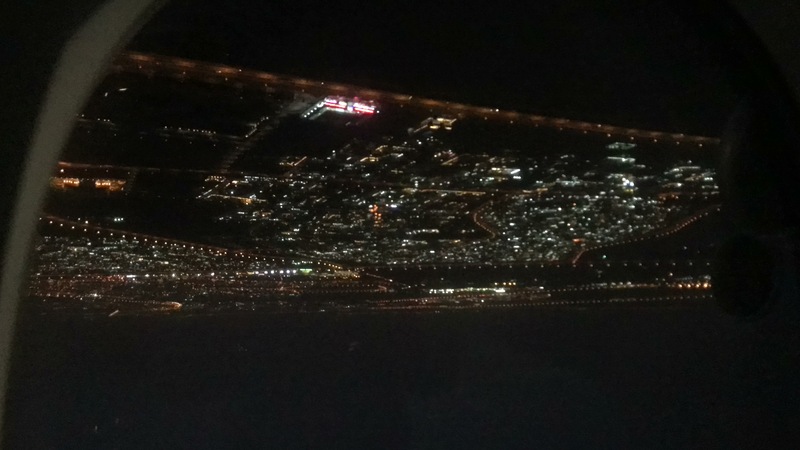 And here is a photo on our final approach. 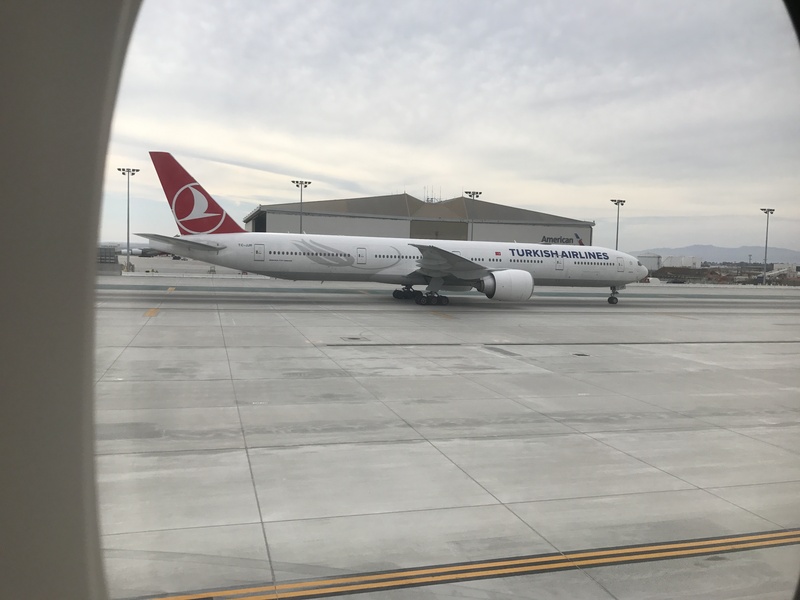 We had a smooth touchdown on runway 30L and a quick taxi to our arrival gate. 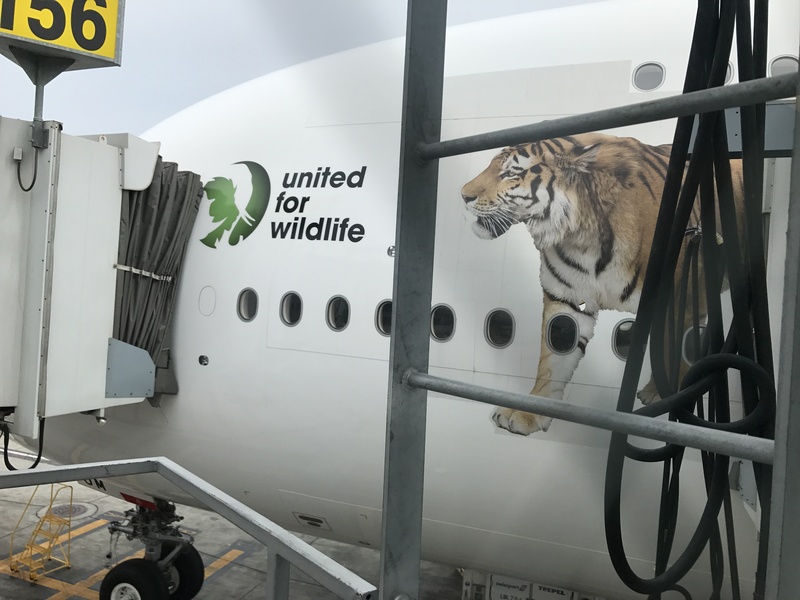 Even though the light makes it bad, I finally got a photo with a good portion of the fuselage and the United for wildlife livery! Overall, EK did a great job which was expected. The seat was decent, the food was all around great, the views were almost great. 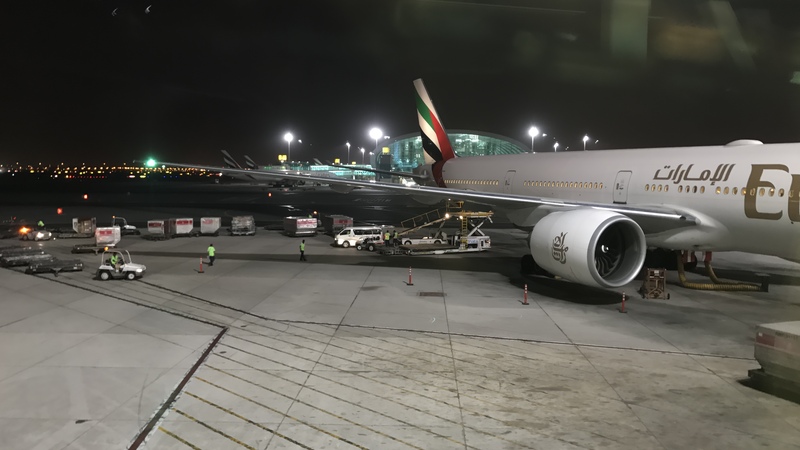 I have another segment with Emirates right after this one to Mumbai, and that was great too. Do be sure to check back soon for that one. Cheers! You are very welcome! Glad you found utility out of it. If you have any other questions, please do not hesitate to ask. Cheers! Will be on the same flight around the same time you went. 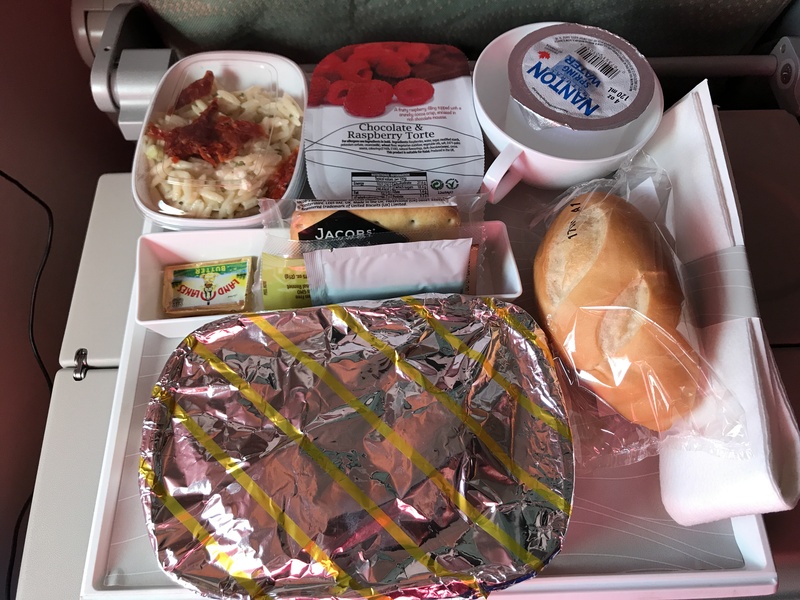 How full was your portion of the cabin? And would you make any change as far as seat choice? Booked an economy saver fare, so debating if it’s worth the $50 x 4 to choose those seats. I’m glad you enjoyed the review. If you want seat recommendations, I would HIGHLY recommend rows 43-50 if you can. It is the economy section in the front of the aircraft. That’s where I was sitting for my outbound and return flight. 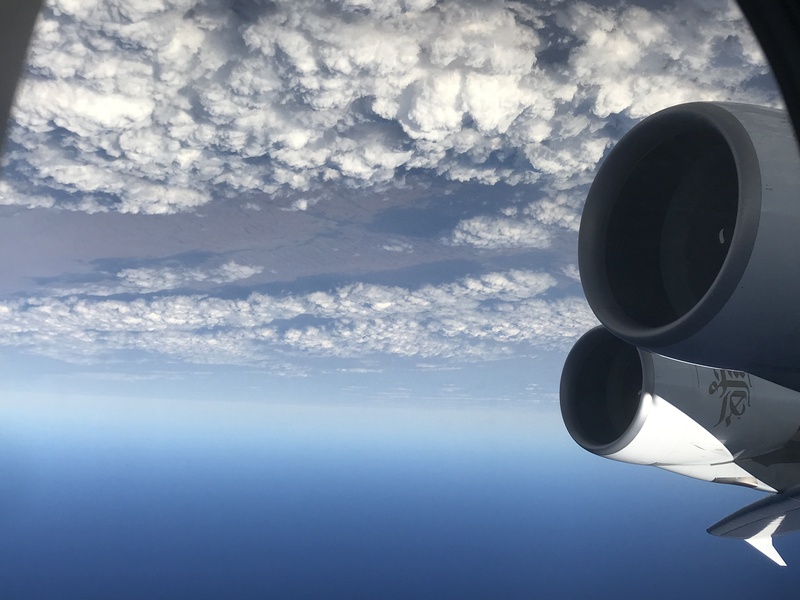 It is very quiet, private, service is a lot better and faster, and you can get on and off the plane a lot faster. Also a lot of lavatories are at the front of the aircraft where people from the back don’t bother to come. 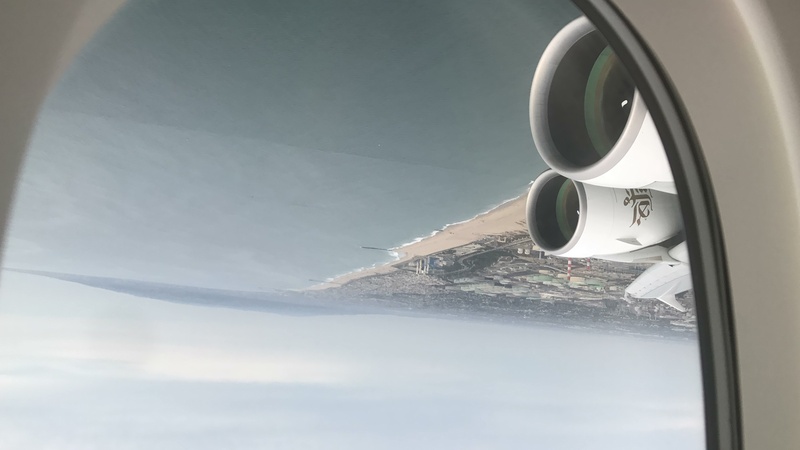 Now, that front section was pretty full, but in all fairness, the whole flight wasnearly full and there was not really too many open seats in economy. But that is the smallest economy section, and in my opinion, the best economy section of that flight. Last year when I flew, the cost was $40 per seat on that route with an economy saver fare, so looks like they upped it by $10 but I gladly dropped $40 for me and my mother in order to get that front section. I think you will find it well worth. Please let me know if you have any other questions! Great to hear. Went ahead and booked that forward economy section. Re Alaska, I was trying to figure out where to credit my miles. That looks like the best option – at least I can hope to get a redemption at some point. 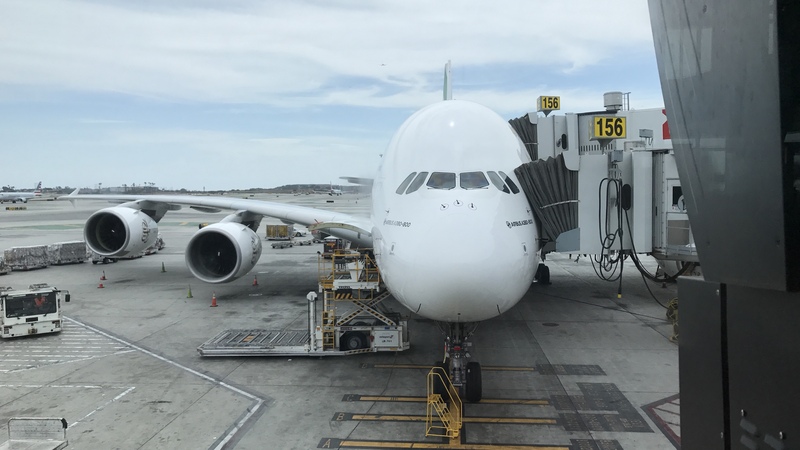 Last thing – what was the boarding procedure/order for your flight? I usually fly with status and don’t have an issue with the people that line up 2 hrs before boarding, but I have none here. Important because I’m only traveling with carry-on luggage and would prefer not to gate check my soft bag. 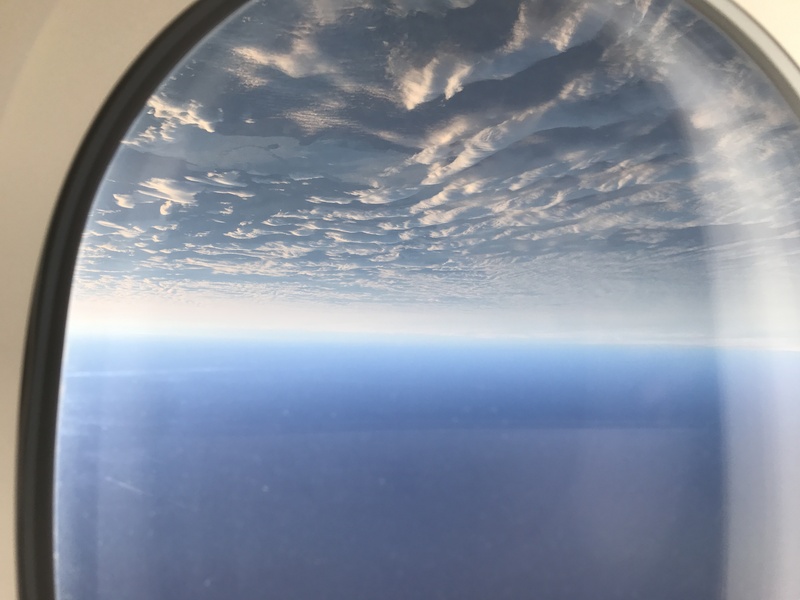 Yep Alaska is the best course of where to credit your miles. 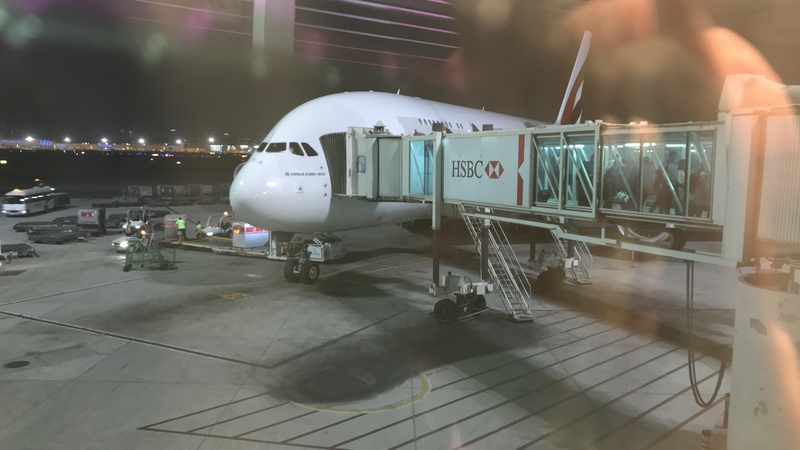 Now as for the boarding procedure, its interesting. From the time boarding starts, first and business class can board at any time, and economy is boarded by zones. The zones are not determined by fare class or status, but rather where in the aircraft you sit. So the economy seats in the back of the main deck is zone A and the front of the aircraft is zone F. So with this, you really won’t have any issues with overhead space for your carry-on. 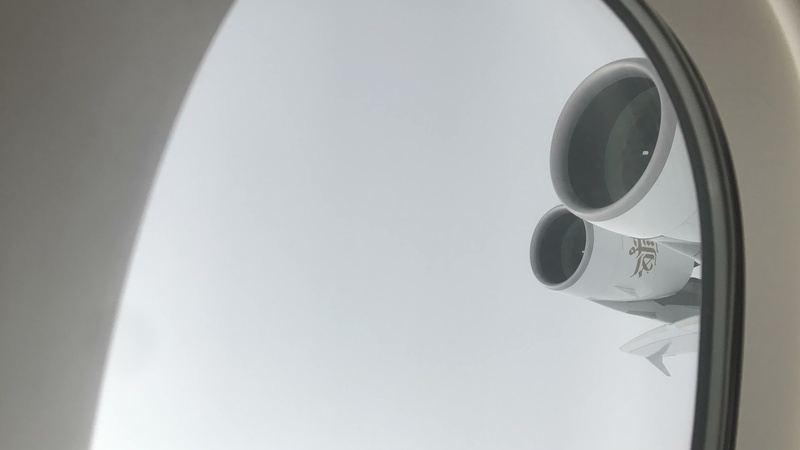 At worst, you will have to stow your baggage in an overhead compartment that’s not directly above your seat. But everyone’s carry-on bag will be accomodated. 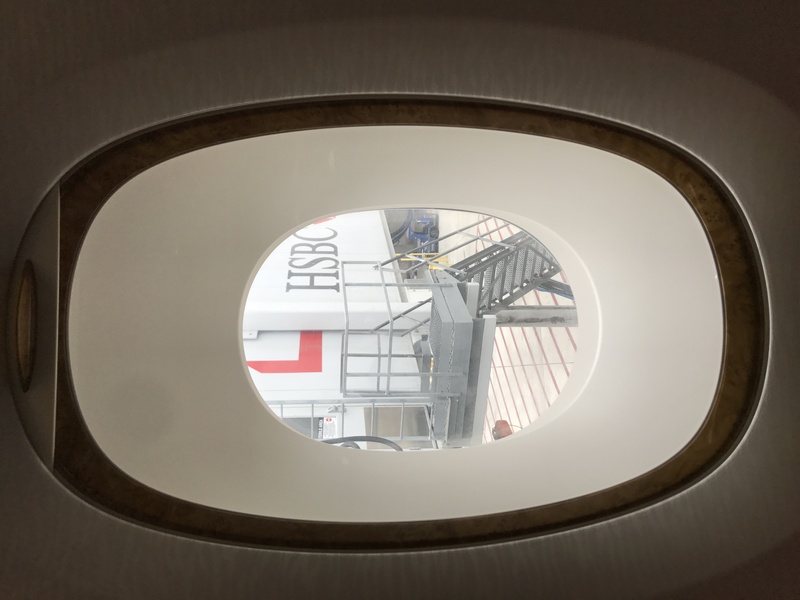 One of the perks of the front section of the cabin is that because it’s completely separated from the rest of the cabin, Only the people sitting in that front section (aka you) can store your baggage there. The best thing you can do is be at the front of the line that boards zone F. Hope this helps and please ask if you have any other questions!